If you are looking for an executive to manage your single family office, we can offer hands-on operational management and build a plug-and-play infrastructure for your family. We have a dozen staff members available to serve your family office including: deal origination professionals, an executive recruiter, data and due diligence researchers, a reporting specialist, and our own CEO, Richard C. Wilson. Richard specializes in serving ultra-wealthy families and has strong relationships with more than 1,000 family offices and 73 families whose net worth exceed $1 billion. By working together you can leverage our team’s time and overhead, including our offices in New York, Miami, Portland, and Sao Paulo. 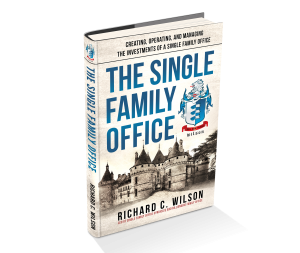 Richard C. Wilson helps $100M+ net worth families create and manage their single family offices and currently manages 25 clients including mandates with three billionaire families and a few $30M-$50M families as well. Richard is also the founder of the Family Office Club, the largest membership-based family office association (FamilyOffices.com), and this position and the 20 live events that are offered per year keep constant best practices, deal flow, and peer connections coming to our clients. Through operating the Family Office Club Association Richard has created the first platform business focused on the family office industry. He has spoken at over 200 conferences in 17 countries, has the #1 bestselling book in the family office industry, The Single Family Office: Creating, Operating, and Managing the Investments of a Single Family Office and a recently released book called How to Start a Family Office: Blueprints for Setting Up Your Single Family Office. 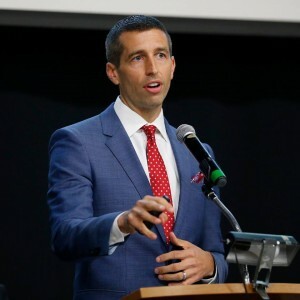 Richard has his undergraduate degree from Oregon State University, his M.B.A. from the University of Portland, and has studied master’s level psychology through Harvard’s ALM program while previously residing in Boston. Richard currently resides 10 minutes from downtown Miami on the island of Key Biscayne, Florida with his wife and three daughters.